Did The 2015 Predictions for Ecommerce Come True? At the conclusion of every year thousands of articles spring up from the prediction-web claiming to see the future (ourselves included) - but to what extent do they get it right? We’ve plucked some of the main trends from our ecommerce marketing predictions for 2015 and evaluated their performance. With 2015 consigned to history, tuck into our review of last year’s predictions to see what rose, and what flopped. Buyable Pins on Pinterest, Sponsored Posts on Instagram, the Twitter ‘Buy’ button and more: 2015 saw the giants of social media leap ahead in their paid advertising offerings for retailers. Advertisers worldwide spent (a higher than expected) $25.14 billion on paid media to reach consumers on social networks this year, according to eMarketer, a 41.7% increase from 2014. Facebook is dominating the social pack scooping nearly 65% of social network ad revenues this year - with the social tool scoring a 1.85% conversion rate (according to shopify). “Paid social will take a greater share of budget for two reasons: because targeting options for lookalike audiences have improved, and because it’s relatively low cost and quick to set up.” - James Gurd, owner of Digital Juggler. According to Ampersand’s Mobile Retail Report 2015, out of the 163 retailers researched, surprisingly 11% still did not offer customers an optimised experience on mobile. “The truth is that many retailers still under-index when it comes to adapting to the shift in consumer behaviour.” - Pia Stanchina, Industry Manager, Fashion at Google. Just under a quarter (23%) of retailers studied did not offer a persistent cart across devices, a function that is fundamental to a good cross-channel customer journey, argues the report. With mobile digital media time in the US now significantly higher than desktop (51% vs 42%), it’s clear that more needs to be done to optimise the consumer journey on mobile and realise the potential of the handheld purchasing power. The biggest shift over 2015 will be in how marketers communicate with their audience, said Anant Sharma, CEO, Matter of Form in our prediction post last year. Using storytelling to forge emotional ties to link your product/service into your customers’ lives is vital - but what have brands been up to in 2015? This one is hard to quantify, but according to The Aesop Brand Storytelling Survey 2015, technology brands have overtaken FMCG favourites like Cadbury and Kellogg’s this year, with Samsung, Playstation, Google and Facebook all sitting in the top 10 (and Apple retaining the top position). The Brand Storytelling Report 2015 from Headstream provides some valuable insight, revealing that while the call for storytelling is strong, 85% of the 2,000 adults surveyed in their study couldn’t give an example of a memorable story told by a brand. Furthermore, just 64% of people think brands are currently good at telling stories. With more than half (55%) of Headstream’s respondents saying they are more likely to buy the product in the future if they love a brand story, it’s clear that a lot of work needs to be done to bring storytelling forward into a brave New Year. Take a look at some of these great examples of storytelling to inspire your future stories. Tim Cook boldly declared that 2015 would be “the year of Apple Pay”, and mobile payments and commerce certainly have been under intense scrutiny this year. In 2015 US mobile commerce sales totalled $104.05 billion, up 38.7% from $75.03 billion in 2014, suggests data from the 2016 Mobile 500, signaling a clear surge in mobile shopping. “The easier it will be to transact on mobile (and to track sales accurately) the more advertising and affiliate markets will expand.” - Alicia Navarro, CEO Skimlinks. Fueled by the buy button and one-touch payments, more people than ever are using their smartphone to hunt for products and make purchases, with mobile commerce comprising nearly a third of all ecommmerce transactions this year (according to Criteo). However, in sad news for Tim, a 2015 Accenture survey found that while 52% of North Americans are “extremely aware” of mobile payments, only 18% use them on a regular basis, paired with the fact that just 15% of iPhone 6 users tried using Apple Pay - it’s clear mobile payments have some way to come. “The play button is the most compelling call-to-action on the web.” - Andrew Angus, founder of Switch Merge. It’s clear video marketing has taken its seat at the top of many marketing agendas and budgets in 2015, with half of US advertisers moving budget from TV to digital video this year alone, says AOL. According to Cisco, 80% of all internet traffic will be video by 2019 (up from 64% in 2014) - 2015 is clearly part of an ongoing transformative shift towards video. In 2015 we've seen Twitter launch video autoplay in our feeds, Facebook give advertisers the option to buy video ads, and the rise of live streaming video via Periscope and Meerkat. Facebook has emerged as a force to be reckoned with (more than eight billion videos are displayed on the site each day) and new ways of creating and consuming video: from VR technology such as Oculus Rift to YouTube’s 360 player. If you want some great tips on how to leverage the power of video in your New Year strategies - look no further. “2015 will be the year that data is no longer scary, no longer incomprehensible.” - Ivan Mazour, CEO, Ometria. A recent Forbes article titled “Targeted marketing has never been easier...or cheaper” suggests that data-driven marketing has made an impact on 2015. "Real-time relevance is moving to become table stakes, and the quickest to move will win," argues Teradata in its 2015 Global Data-Driven Marketing Survey. Teradata’s global survey of 1,500 marketing and executives found that most marketers are responding to the new reality of data-led strategies, noting that marketers made “significant strides” this year. Another survey of data-driven marketing in 2015 by GlobalDMA and the Winterberry Group found that 77% of marketing professionals said they’re “confident” in the practice of and future growth of data-led marketing. Without a data-driven strategy that reaches the right audience at the right time, brands and retailers risk losing out on revenue to competitors with more personalised and convenient paths to purchase - so it’s good to see data being thrust into the heart of marketing agendas in 2015. Like a warm and fuzzy childhood memory, 2015 shall be looked upon as a great year for ecommerce. The Centre for Retail Research found that actual growth in 2014 was +18.4%, with online growth in Europe expected to continue with 18.7% forecast for 2016. With Statista data suggesting that 40% of worldwide internet users have bought products or goods online via desktop, mobile, tablet or other online devices this year - ecommerce is clearly flourishing. Our predictions seem to have largely manifested into success this year, with mobile commerce, video, data-led marketing and paid social all taking root. However, it would seem more needs to be done to realise the potential of storytelling and the finishing touches need to be executed on mobile optimisation going forward into 2016. So what will come true in 2016? 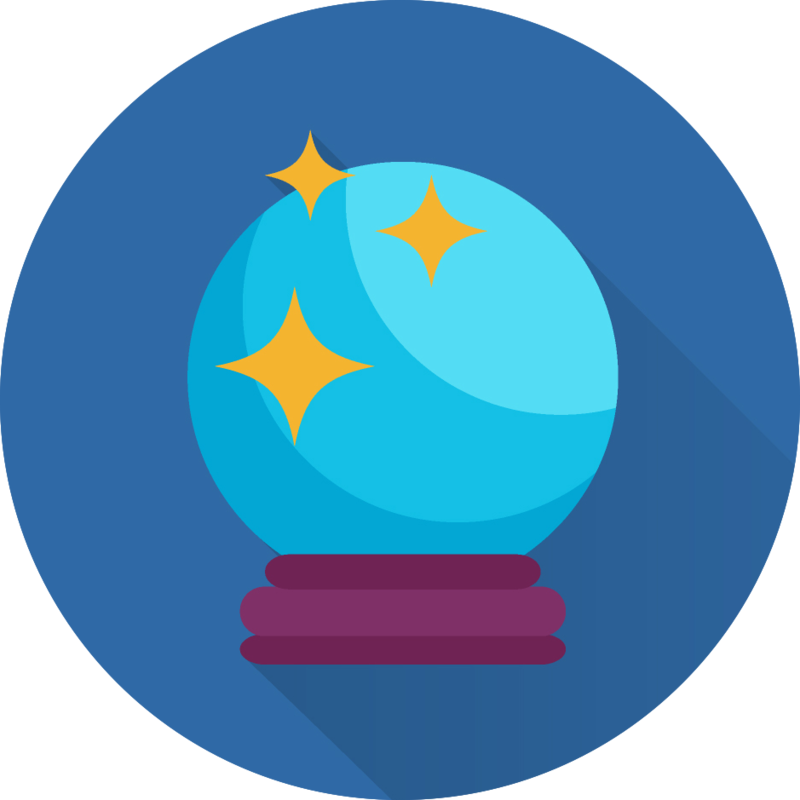 Make sure you take a look at our expert predictions for ecommerce marketing in 2016!